We should all be replacing the air duct filters every two months or as needed. That’s a good way to inspect whether there’s excess dust accumulating, mold growth or other issues with your system. In those cases, it might be wise to hire a professional. Filters are a cheap way to do some preventative maintenance. And, don’t spend the extra money on the fancy filters (I had an air expert tell me that). The cheap ones work just as good and make sense when you’re changing them out 6 times a year! Cleaning is simple and fast. All you’ll need is a vacuum with a crevice attachment, brush attachment and a damp cloth. Simply remove the vent covers and wipe them down with the cloth. Use your vacuum crevice tool to vacuum any dust from the area just inside your vent. The edges tend to collect dust and other particles, so pay attention to those areas. You may also have to run your brush attachment over the ceiling or floor right around your vent. Reattach the cover, and you’re done! Next month.. Kitchens. …Dirt and grime no more! 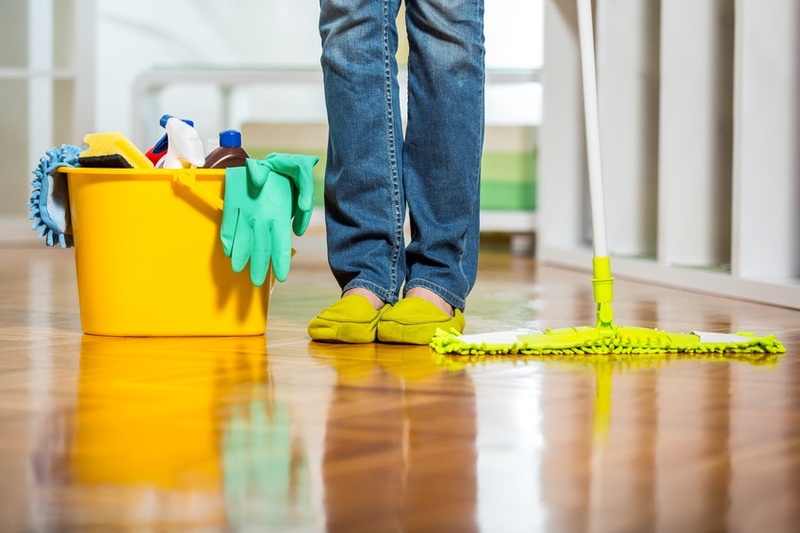 “Deep Clean Your Home – One Month at a Time” is an on-going series of articles helping homeowners with the daunting task of cleaning and organizing for a happier, healthier home. 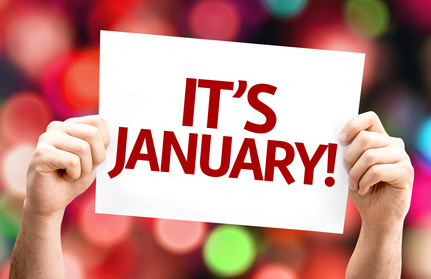 Be sure to look back at the months you’ve missed and look forward to those yet to come! It’s July.. We’re half way through the year! The days are longer and the temps are up. All the major warm weather holidays are done. And, your home is looking better and better with each month. Okay, we can’t put it off any longer (groan) – Let’s clean the dirt and grime in your bathrooms! This has got to be my biggest cleaning challenge – each and every day! I have boys, dogs and a husband with too many hobbies. Guess what comes tracking in on my floors? Hmm.. pretty much EVERYTHING! To top it off, we live on land that is made up primarily of clay – the red kind! Our house, of course, had a brilliant builder who thought white tile, light grout and tan carpet was the cat’s meow. Dummy! I wish we had been in on that decision making process. So now I’m faced with the task of finding the most effective means of cleaning my tile, grout, carpet and hardwoods. GROUT: Just in the past year, I did find my one-and-only for grout.. And it happens to be a toilet bowl cleaner! I use the blue kind with bleach that comes in the container with the funny looking neck. I’m able to run in quickly over the grout, let it sit for 20-30 mins and then remove it with a wet rag, gloves and water that is changed quite often. The first time I tried this, I used a small scrub brush right before I swabbed it up. A-MA-ZING!! CARPET: Ugh! I hate them! But I have them, so I need to find a way to live with them.. clean! To deep clean this month, I use my wonderful carpet shampooer. (Pretty sure I spelled that wrong.) I used to rent a commericial machine every 6 months or so, when I finally had that ‘ah-ha’ moment. Yep, I broke down and bought one. Probably the best clean-house decision I ever made! In years past I felt that I needed to use a bunch of shampoo in it, but I don’t anymore. Yes, some shampoo (I like the ones that say “Oxy” in the name), but the key is to pre-treat spots (let them sit), and to spend most of my time sucking up the water the machine just laid down. And, no walking on the wet carpets! Repeat in another 6 months. Next month.. Bathrooms. The floors are done. This should be a cinch! As much as we want to spend more time outdoors, we can’t give up on our 2015 resolution of making our home the cleanest ever. Next up is the bedrooms. Bedrooms have their own sort of dirt and grime depending on the person or persons occupying them. I keep a habit of making my bed every morning. It helps to keep my mindset organized all day long. As well, I ritually launder my sheets, due to pets and my own bloodhound-like sense of smell – it keeps me sane. The message hasn’t sunk into my kids’ brains yet, but I’ll keep trying! There are lots to discuss here as we clean down into every nook and cranny. Let’s start with finding a place for everything.. Once upon a time, I would use my bedroom as the catch-all for everything in the house that didn’t have place. How unfair for me (and my hubby)! Everything has a place (even if it’s the trash), so put it there now and again after each time you use it. Once everything is put away, we can really get a good feel for what needs to happen in here. I start with everything above the floor. (Floors are last for me.) 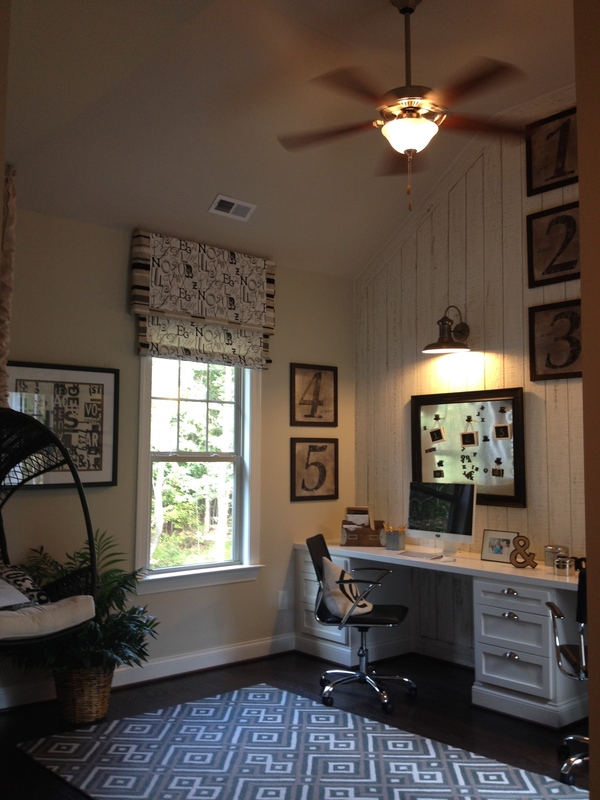 Start at the top and work your way down… Lighting, window sills and baseboards are first. Doors (both side) and doorways are next. My sister turned me on to baby wipes as a cleaning tool! They’re easier on my skin (I don’t like to wear gloves) and they shine up molding, interior doors and any painted surfaces inside pretty nicely. As well, they’re cheap, smell good and small enough to maneuver around intricate surfaces. Convinced yet? Try them! Then I move on to the furniture – remove the stuff, dust and replace only necessary items! Be sure not to forget dusting or cleaning your headboard and footboard. Do the TV and any other miscellaneous items too. Now, on to the floors. I like to complete my cleaning with a good carpet vacuum and shampoo. I invested in a steam cleaner and have not looked back since! If you have hardwoods, consider a steam mop.. I have one now and wondered why it took me so long to get one. With that said, don’t forget about any area rugs – clean yourself or call in the professionals. Fix anything broken or squeaky while you’re in there. …Did I leave anything out? Okay, that’s your room.. Let’s repeat for each bedroom. Break it down throughout the month, maybe one bedroom per week until they’re done. Once you’re done, your reward is your very own clean, comfy bedroom to rest your head. Just remember to make it easier on yourself next time by picking up and putting away each time something is used. Next month.. Carpet & floors. You’ve already done the bedrooms, so you’re that much further ahead! It’s April! 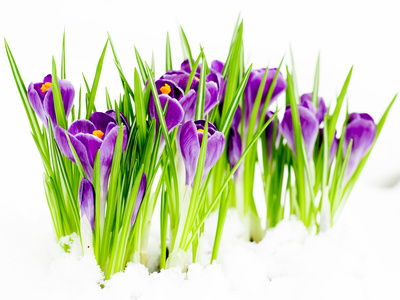 I’m hoping you’re feeling Spring already – I know I am. We get plenty of miserable rain here in the south during the winter months, but somehow rain in April makes me happy. Plants and trees are starting to bloom and more time is spent outside. We want the sun to shine right in, and you’re probably noticing how dirty your windows have gotten this year. Let’s do something about that! WINDOWS With the dogs and the kids, I feel like I’m cleaning the same windows every week. Unfortunately, there’s nothing we can do about that, but we can do something about the rest of them. Be sure to clean both the inside and the outside of each window. Don’t forget the sills and any hardware, as they each get grimy in their own sort of way. Many of my windows, inside and out, I can reach quite conveniently. However, the second-story ones become tricky. Windex (as well as some other brands) make a nifty solution you can screw onto the end of your water hose. …Anything that works, just gotta get ’em done! Good Housekeeping recommends a solution of white vinegar (2 TBSP) and water (1 GAL) and using newspaper to apply and scrub your windows clean. I prefer using paper towels to apply and clean, and then a lint-free cloth to “polish” it up after everything is good and dry. I find this works well, especially for my sun-facing windows. The goal is no streaks, so try some different methods and you’ll discover what works for you. Even after a good cleaning last April, I was finding that my outside windows were getting filthy after each rain. As I investigated the cause, I found that my gutters needed a good cleaning as well as my siding. Not to create more work, but when put up the work upfront, life will be so much easier in the long-run. Next month.. May finds us inside focusing on our bedrooms. Lots of reasons to ‘look up’ this month ~ for starters, it’s my birthday month! …Luck-O-The-Irish, March Madness, Spring has Sprung! And, as part of our resolution to make 2015 our cleanest-year-ever, CEILING FANS and LIGHTING FIXTURES are the other reasons we look up this month. Quick (relevant) story.. My FIL came for a visit years ago and sat with us in the living room. It was a hot, southern-summer day and the ceiling fan was doing it’s job. He looked up at it and said, “The reason it’s making that noise is because the fan blades are dirty.” How embarrassing! But, he was right! The dust and grime build up on the blades caused it to be out of alignment and therefore made a faint, annoying sound as we chatted. Lesson learned! Like my blinds, my fan blades are painted white wood and pretty durable to mild cleaning solutions. I first try to vacuum off any loose dust with my hand-vac and then wash them down with some warm water laced with dish detergent. It’s as simple as that! To maintain throughout the year, use a Swiffer or dusting cloth to wipe down any time you deem necessary. For me, it’s usually once every couple of months. While you’re up there, take a look at your lighting fixtures – those with the fan and all the others. If it’s been awhile, you’ve probably got cobwebs and dust that have accumulated. I like to take the glass shades and bowls right off of the fixture and bring them down to do a thorough cleaning, as if you would wash your dishes in your sink. I wipe down the bulbs before attaching the shades back. Don’t forget the overhead lights in your hallways and closets, bedrooms, kitchen and dining room. Now is also a great time to replace any blown bulbs. Things will seem to sparkle more when you’re done! Next month.. April Showers may keep you inside this month ~ A perfect time to shine up your windows! 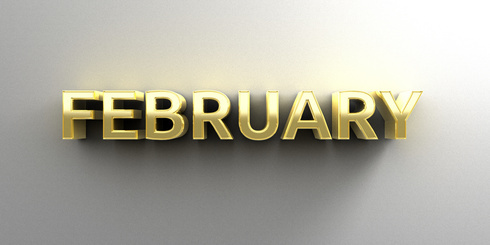 When we think February, we think love! And how much do we love our homes? February isn’t (personally) my favorite month, but I do love to come home to a warm and inviting home, sip some hot cocoa by the fire and snuggle up in my warm cozy bed. And this month it’s about lovin’ on those window dressings of ours. Yes, BLINDS & CURTAINS are the focus of this month’s deep cleaning schedule. Not many of us love to clean our blinds, but they have to be done! And, once done, they are simple to maintain for the rest of the year with a quick drive-by vacuuming. If you can stand it, replace any broken or discolored blinds in the house right away. Or, maybe it’s time to swap out a blind or two for some lovely sheer panels? (In either case, one less set to clean!.. for now.) I’ve read some advice on bathing them in the tub, but to me it just creates a bigger mess in another area of your home – No way. I’ll tell you what I do.. Put on a sock! Yep, I use an old tube sock over my hand and start cleaning each slat, one by one – all the way down, top and bottom. I use a mild solution of warm water and dish soap on my white wood blinds, but you can use whatever is recommended by the manufacturer, or an expert, according to the material your blinds are made of. It’s monotonous, but once done, it’s done (until next February) and you’ll love your fresh, clean blinds. Curtains need some love too! Take them down, wash them and put them right back up. A lot of the ready-made curtains you buy at stores like Target and BB&B are washable – just read the labels! Others, such as custom made drapery or delicate fabrics, may have to be sent to the cleaners. You’ll want to check with the seamstress or the cleaners for the best course of action. In any case, you can certainly get away with a thorough vacuuming, on both side, with the hand tools to your machine. If you feel the need to spot clean, I would still check with an expert if you’re unsure. Once clean, you’ll love the way they smell! You have all month, so let’s get busy! Next month, we’ll be looking up at those ceiling fans and light fixtures! Let’s start this year off on the right foot. As you leave all of those well-intended resolutions to the birds, I hope that you stay committed to making 2015 the cleanest-year-ever! To help you along, I am committed to sharing with you my monthly deep cleaning schedule ~ yep, one month at a time. Let’s start with January. 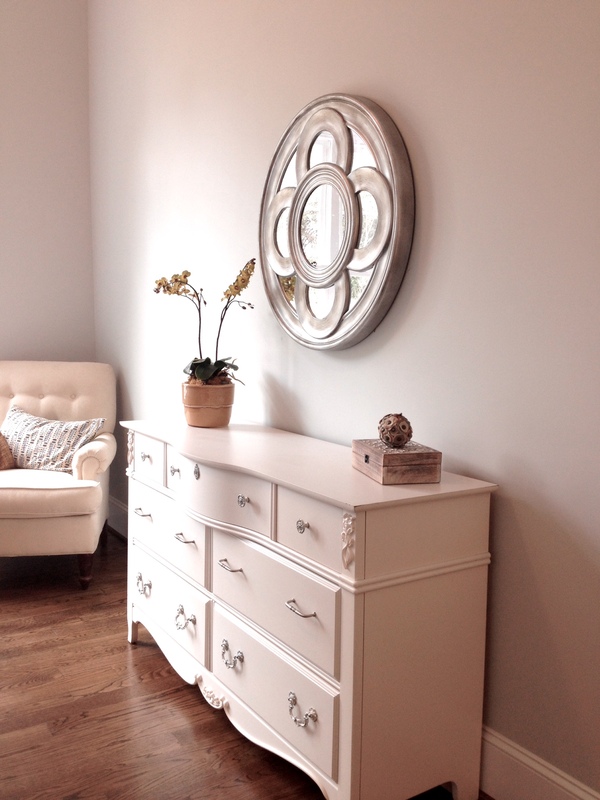 CLOSETS Your closets are the first to get an overhaul in this new year. It seems like a daunting task, but I am willing to bet that you have one to two closets that are really keeping you from doing them all. The good news is (if you have kids) that you have help! With less on the floor and shelves, it’s easier to see the hanging items in their closets. Go through and see what doesn’t fit or will never be worn. I purchased a small tote to put outgrown clothes from my older child that didn’t quite fit my younger child yet. That tote is on the top shelf for whenever I’m looking for something that might fit. The rest goes to Goodwill or a friend in need… But make sure they are coming to get it soon! Next is your closet. If you’re anything like me, it was long overdue! Great news (if you have a spouse or SO).. you have help! get rid of the clothes that don’t fit and are just plain out of style. Consolidate your shoes and purses/bags in to some totes. (Totes are your best friend when it comes to organizing!) My totes are sitting on top of each other on my closet floor for easy access. My husband even has his own tote (but don’t ask me what’s in there). The main thing is that everything that makes it back into your closet has a purpose within the next 11 months. One suggestion I heard for making this easy next January is, as you organize your hanging items, place the hanger backwards on the rod. When you wear something, hang it back up with the hanger the right way. Next January, get rid of all of the hanging items that did not get turned around during the year. Brilliant! Lastly, don’t forget the linen closets and any other hall closets. Go through your coat closet the same way as your other clothes. Get rid of all those that don’t fit or you’re likely to wear again. Same with linens.. We recently “upgraded” the kid’s beds from twins to a full and a queen. You won’t see a twin sheet set going back in my closet this year! Next month we’ll tackle all things windows! 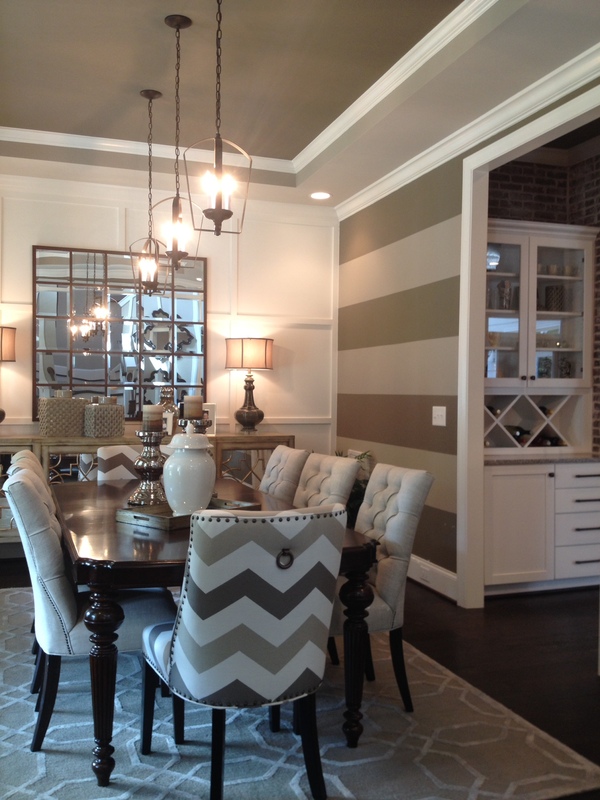 Holiday Home Selling …And staging… All at the same time! Selling your home during the holiday season may seem like a bad idea.. There’s already so much going on! However, due to circumstances or anything else, you may not have a choice. That’s okay!.. There are still plenty of home buyers during the holidays and colder months. In fact, the holidays may play up the features of your home enough to make a difference. The goal of staging, whether in April, August or December, will always remain the same. We want to create an environment that has won over the hearts of the home buyers, to sell our home for the most money possible, and sell as quickly as possible. The key to staging a home during the holiday season is to keep it simple with your goal in mind. I mentioned that your home may have features that lend itself to an inviting, warm environment conducive of the colder season. How about a warm fire burning in your beautiful stone fireplace, or live pine garland wrapped around your wooden country fence; Or what about a small sparkling Christmas tree sitting in the corner, or a festive dining table set for a party? For me the imagery is as exciting as Christmas morning itself! But, be careful not to overdo the decorations. Allow for the flow of the rooms even though you have a 7 foot tree sitting in the corner. Keep the smells at bay… You know how tempting it is to have a cinnamon candle burning to get you in the spirit. However, keep in mind, some visitors may not share in your love of cinnamon, pine or gingerbread. Try not to theme-up every room of the house with Holiday decor.. You might want to save it for the downstairs and allow the bedrooms to be everyday bedrooms. Replace a few of your sofa pillows with holiday ones. Bring in seasonal flower arrangements. Match bathroom accessories (still) even with a holiday theme. Light a fire in your fireplace, but keep it safe. Open blinds and shades and turn on light while buyers walk through. Clear out clutter before your bring in the holiday stuff. Refrain from displaying expensive and meaningful holiday items (just in case). Keep all of the staging rules in mind! A professional stager can help you create a manageable, stress-free experience especially through the busy times of the year. Wow.. What a great way to spend my Saturday! My sister, niece and I spent the day in Wake Forest, NC touring some pretty spectacular homes on the Triangle Parade of Homes. Check out the pictures below..
As a stager and designer, I live for the opportunities to immerse myself into beautiful homes.. one right after the other! On this particular afternoon, I paid close attention to the other visitors’ reactions and comments hoping to introduce myself at the right time. As well as prospecting, I was able to get a sense of style toward the builders and their stagers. One thing was clear, the well-staged homes were the definite stand-outs! The builders who took the cheap route and didn’t have their homes staged are probably scratching their heads as to what went wrong.. So sorry about that.. Everyone noticed the difference it made. With it's smooth leaves, fragrant blooms and bright red berries, the Sweetbay Magnolia is often used as a showpiece in southern landscapes. The same way this botanical beauty appeals to the five senses, so too is a well staged home. Sweetbay Staging & ReDesign approaches each project as a blank canvas showcasing your home by appealing to every sense with color, fabrics, lighting, and ambiance. Once we've captured the wants and desires of the home buyer, we have achieved success. You will see the greatest return, as the homeowner, with a higher offer price, sooner. Disclaimer: Photo in website header via Fotolia © poligonchik. All other images remain the property of Sweetbay Staging & ReDesign.